High speed recording is without the shadow of a doubt an entire world that can grant astonishing images and a jaw dropping point of view on everyday reality, and lately thank to the increasing native ISO sensitivity of the high speed cameras and the 4K technology the possibilities in this field of expertise are practically unlimited. But we must not forget that as an high specialized sector, it requires high specialized crews to handle it and get the best possible results out of it. For instance, shooting at 1000 frames per second requires an outstanding coordination, special lighting equipment and special conditions, not to mention a specific type and quantity of hard drives and so on, since when shooting at those frame rates any mistake can be even more expensive than on standard speed shooting. 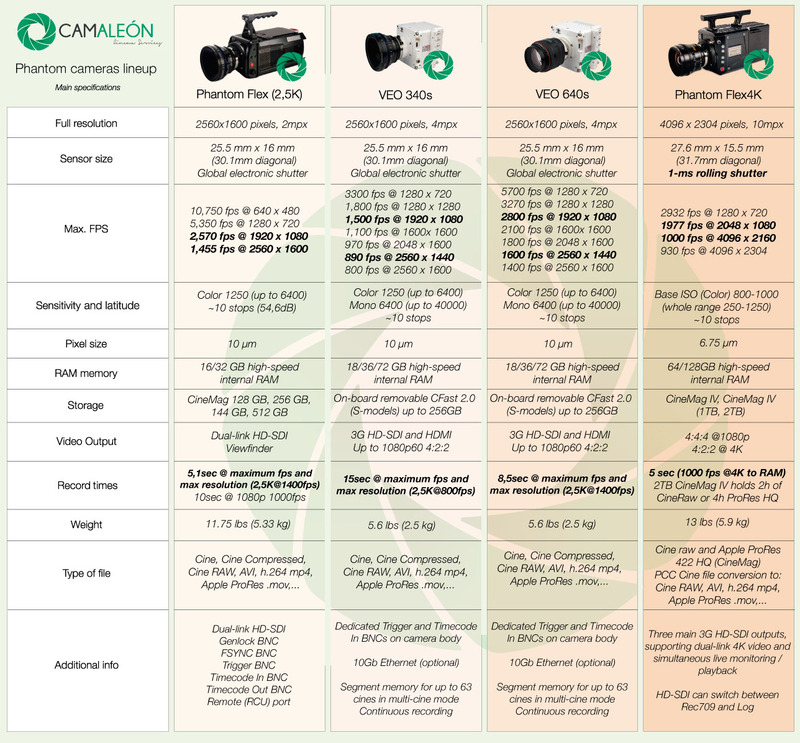 At Camaleon Rental we have been up to date with high speed recording since the first Phantom Flex came out, all the way to the lastest 4K update of this state of the art camera and we can provide HS technicians with decades of experience in this kind of shooting that will guide you through the amazing possibilities of slow motion, advising you on gear, lenses, lighting equipment and everything else you need to make your high speed dreams become true. 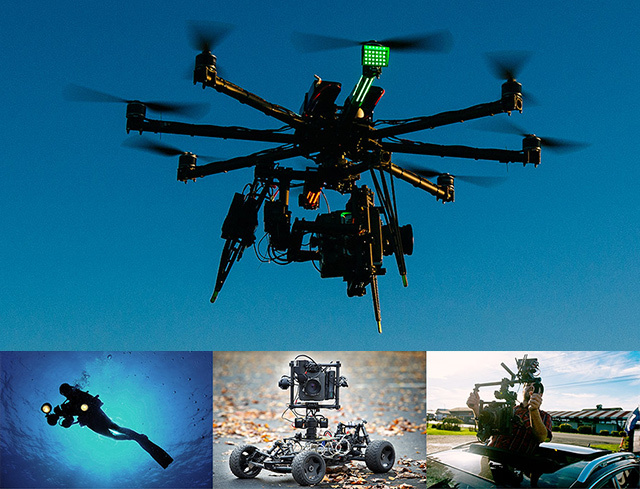 Aerial recording is known as the photographing or filming from an elevated position, that usually is a flying drone. Since cameras are getting smaller and smaller, while the drones are every day cheaper, a lot of people got into aerial photography lately, but there are a lot of types of it and each and everyone has its tricks. 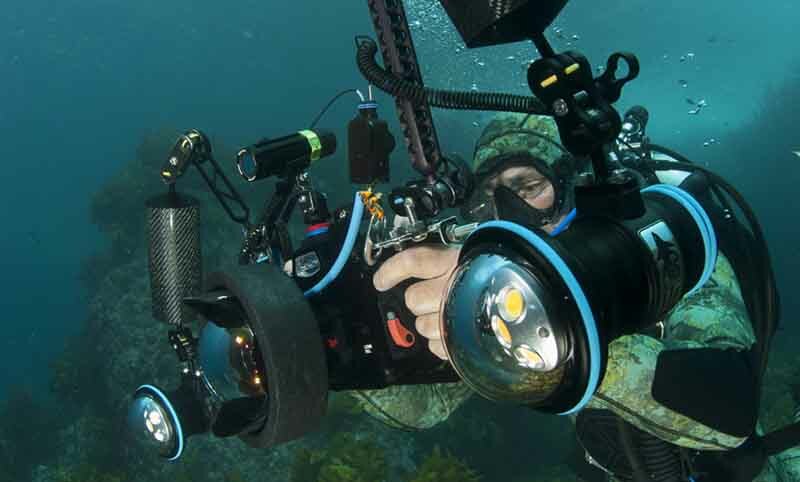 For high end productions is essential to have the best gear available to shoot both safely and efficiently, and that goes for the equipment and the crew that will have to operate it, since danger will be, literally, higher than ever. And letting aside the safety matters, we must not forget the importance of having a good pilot and a good aerial photography operator, who are the ones that will be in charge of composition, camera movements, speed, height and everything else exactly the same way a steadicam operator does when shooting with this device. 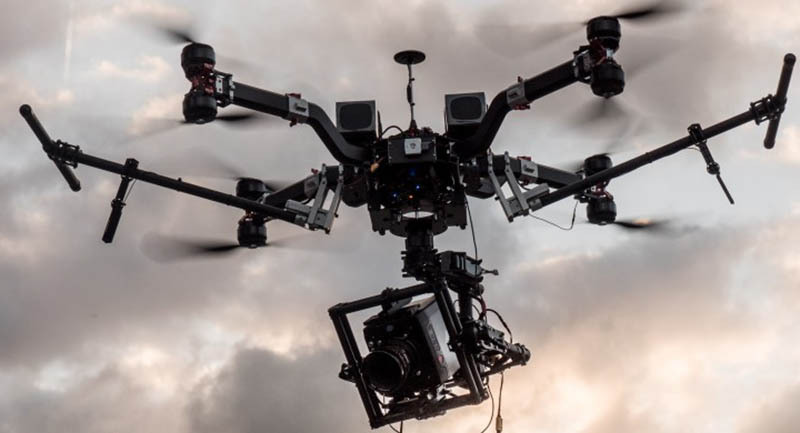 At Camaleon Rental we care for the safety of both gear and crew, plus we want you to have your shot so we don’t take any chance by providing a high quality aerial photography crew to make sure that your project can safely fly as high as it needs to.